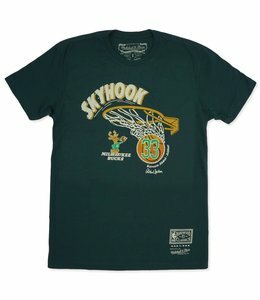 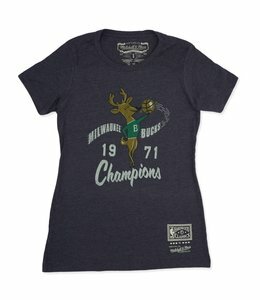 100% cotton tee featuring Kareem Abdul-Jabbar and Milwaukee Bucks Hardwood Classic styling. 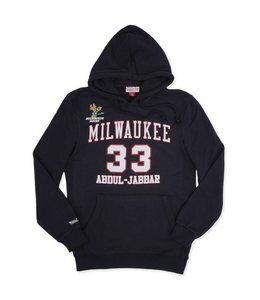 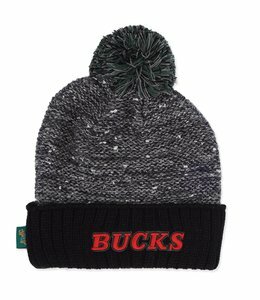 Features screenprint art of Kareem Abdul-Jabbar's name, number, signature, and Bucks Wordmark logo. 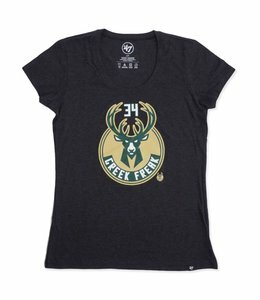 Milwaukee Bucks women's Giannis 'Greek Freak' singleback jersey scoop neck tee.